Belts over jacket gives a sophisticated touch. 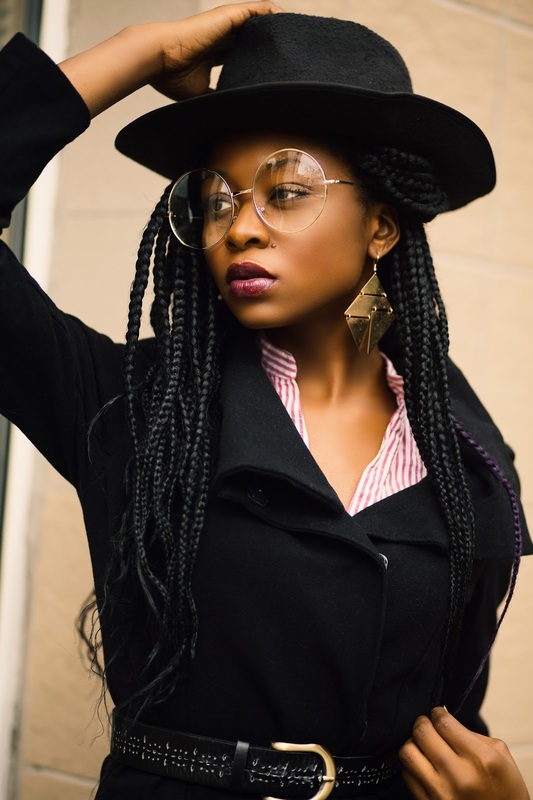 You can try it with fall jackets, as well as on maxi winter coats. You can use any kind of belt, you can try basically anything. Flare Yoga pants are so lovely and classy. Burgundy is one of my favorite color and stands out as on of falls colors. I wanted a warm look, so I added my Black wool hoodY coat belting it to give a more stylish look. 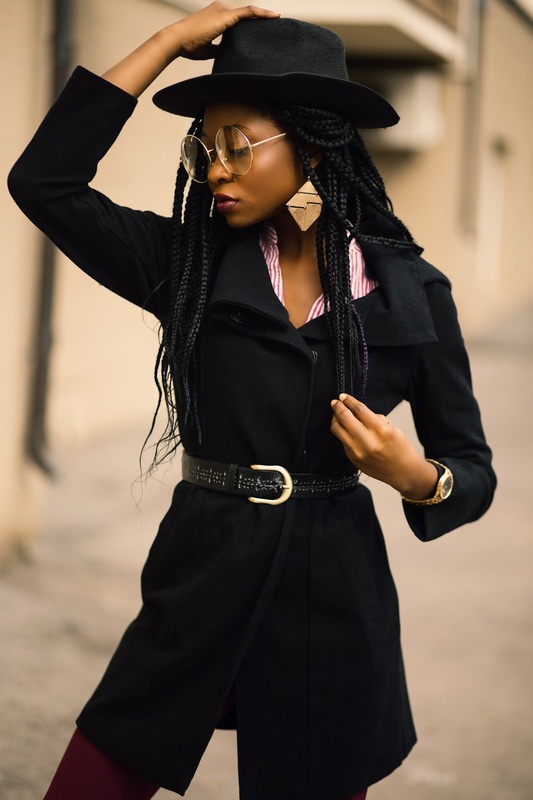 The belt over jacket trend is one of falls fashion trend for 2016-2017.
stretchy rayon blend (68% rayon, 27% nylon, 5% spandex), faux zipper style, mock pockets (two side, two rear), waist button.1.5-inch elastic waistband and Belt loops. Go classy or casual this will do. Th pants are available in Green twill, grey, navy black, silver,black window plane,pewter, navy pin stripe and tan herring bone. 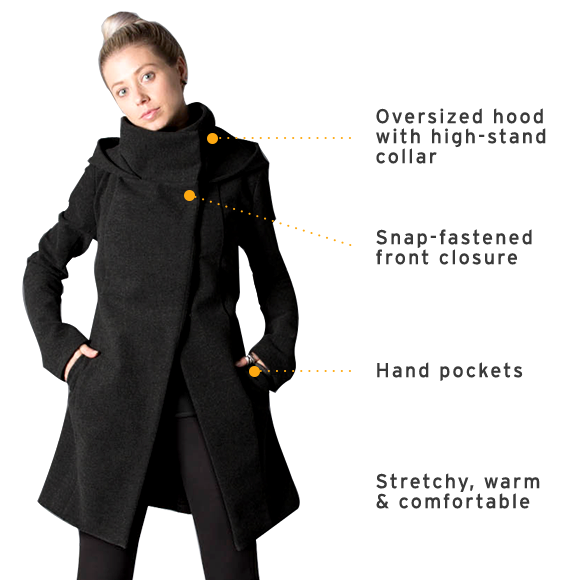 Covered up with the this All day Black coat also available in grey from Betabrand. brushed ponte that’s stretchy, warm and comfortable (73% rayon, 24% nylon, 3% spandex). Fully lined front panels (lightweight stretch poly blend),Cozy over sized hood with separate high-stand collar,Slanted welt hand pockets,Snap-fastened front closure; stays open below the hips, Flattering front. The Soir collection was inspired by our most loved Scandinavian interior designs. Thank you for stopping by, We will love to hear your view about the Belt over Jacket trend.